Il larice nell’architettura storica e della tradizione – I.A.M. 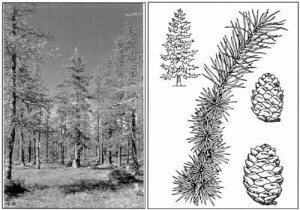 The aim of this contribution is the analysis of the most important technological characteristics of the wood of the larch, in order to try to explain the success of that species in traditional and monumental architecture of the past in north-western Italy. After that, the paper examines some vernacular architecture, concentrated on the alpine part of the region, and monumental structures on the plain where that kind of wood has been used; examining the way the larch wood contributed to the conservation of the structures, thanks to its features. The evaluation of the different ways in which the utilisation of such species in the production mountain areas and on the plain area suggests a more clever utilisation of wood, taking advantage of specific characteristics of the wood in the monumental architecture.